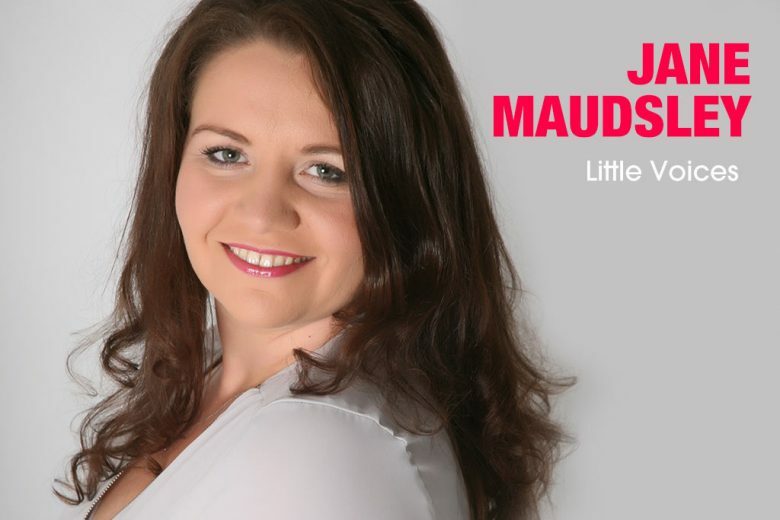 Trained singer Jane Maudsley overcome a marriage split, being a single mum and a split with her business partner to grow her national performing arts school business, Little Voices. She tells us how she did it. I read music at the University of Sheffield, took a year out to run the London Marathon, work for the family business in administration, raise money for charity and prepare for my Music Conservatoire audition. I wanted to be an opera singer. I successfully gained a place on the Masters degree course at the Royal Scottish Academy of Music and Drama to fulfil my ambitions of training as a mezzo soprano. The goal was always to sing professionally however it became apparent after I graduated that the life of auditioning and the life of a singer was not for me. I loved performing (and still do) but I needed more stability of income and lifestyle. So I started teaching singer and quickly gained an outstanding reputation as a singing teacher in all the independent schools and music departments across my local area. However I still was not totally fulfilled – I knew something was missing. It wasn’t until I had had my daughter that I really found where I felt most comfortable. I went on to take marketing, leadership and business qualification after I started the business because being an entrepreneur was my calling and I knew it! How did your career change when you became a mum? I had someone else to care about. It was no longer just all about me and I had to make decisions that would be best for my family life. If anything stopped or changed most dramatically it was the time I had for me, however by running my own business I replaced all that with a love for my business which ultimately was killing two birds with one stone. I started my business in September 2007. My daughter was three months old and I have to be honest I had no idea at that point how far it was going to develop and flourish. The dream didn’t start out to be a national performing arts organisation that supported mums and dads with an interest in drama or singing, or to teach actors, actresses, singers, teachers how to run their own successful business in the subject that they loved. The dream at that point was simply to run classes on one night of the week from 4pm until 6pm and provide excellent tuition to children and young people and work specifically towards examinations. But all great businesses have to start with an idea and what is so special is that that core ethos and belief in excellence and working to the individual child’s needs remains at the heart of Little Voices nationally today. We really care at every level of the business. It started with an idea however it has manifested itself through everything and everyone that is involved within Little Voices. What experience from your career helped you start a business? My vocal training at the Royal Scottish Academy of Music and Drama in Glasgow (now known as the Royal Conservatoire of Scotland) with outstanding professional singer Jane Irwin, provided me with the catalyst to understand the workings of the voice, the importance of vocal health and to ensure that training children’s voices was done in a careful way, working with each voice as an individual instrument in an inherently musical and most importantly, natural way. During my Masters training I studied alongside other fabulously talented singers. Some had beautiful voices, others had amazing stage presence and several could absolutely deliver the intense emotional subtext of a song. I am talking about (to name a few) the fabulous Cheryl Forbes, Margaret Keys, Carolyn Dobbin, Posy Walton and Catriona Clarke. I am proud to be connected to them all (as well as many other) through social media. All of this observation and learning equipped me with the tools to put together inspirational lessons for children. I could ensure that a child had the foundations of good vocal and dramatic technique, and that they could go on to layer their exam performances with emotion, characterisation, an understanding of sub text, context and deliver it with poise, good posture and confidence. Fundamentally Little Voices provide an excellent framework of lessons concentrating on all the elements of performing and skills that are transversal in all areas of a child’s life from job interviews, to college interviews to presenting themselves anywhere! It was the idea for ‘excellent training and tuition in drama and singing’ that started the business. It was my expertise and that of my then business partner, Holly Hammond, that brought the idea to life and sheer grit, determination, tears, risk and passion that has seen it grow and embrace so many people across the UK. We know that promotion, advertising and marketing as a whole is all about building relationships. We attract pupils and parents, tutors and potential franchisees through so many different mediums. Liking and engaging with our social media presence – including Facebook and Twitter. We pride ourselves on personal connections and it is no surprise to learn that there are many individuals involved with Little Voices that attended my old school, Westholme, Blackburn. We have current pupils from the school who attend our lessons and receive a high level of drama and singing training. The co-founder was a Westholme Teacher, we have Franchisees running their own Little Voices businesses with us that attended the school, Tutors across the country, and several Head Office staff too. 10 members of our organisation all attended Westholme or have a connection with them. I would say that that was a record for any school? Our website helps us reach pupils and parents, and all forms of offline and more traditional media are also very beneficial to us in promoting what we do, and nuruting relationships with parents and professionals. What have been the biggest challenges you have had to overcome? There are many challenges in business Initially it was just coping emotionally with a traumatic marriage break up, managing as a single parent as my husband had chosen someone else and just surviving day-to-day, financially. The work-life balance has to be the main one for any mum. I really struggle to handle the guilt of working so hard and feeling like I am not good enough as a mum to my daughter at times. Learning to cut off from work is incredibly difficult when it is your second baby. Ensuring that I can be a super mum and run the household, care for everyone at work, remember every school date, activity and demand for reply slips, sports days and events is incredibly hard! Juggling a personal life and generally having no time for yourself is a given outcome I think and one that you have to accept. Splitting form my business partner, Holly, was worse than my marital divorce, however I did overcome this successfully by ensuring that we remained friends afterwards. I believe that you get back what you give out and therefore I always cope by giving much more of myself to everyone than most people seem to. It really has stood me in good stead. And what have you found surprisingly easy? I have found that there is no part of the business that I do not enjoy. I love every aspect. I love the operations, the HR, the systems, processes, marketing, sales, finance and even IT at times! How do you balance your business around being a mum? At times balance is impossible. I heard these words from a wise and successful businessman called Nigel Botterill – “’you cannot be all things to all people all of the time’ and I TRY very hard to segregate my time. It isn’t always successful I have to admit but I do show willing to this way of operating my diary. I turn off my mobile phone, I do not have emails through to my personal mobile, I have the weekends with my daughter and partner, Gary. However when I am at work I am at work and nothing gets in the way of that either! I think FOCUS is the most important piece of advice I can share. What advice do you have for other aspiring business mums? Do it, never stop learning, follow your dreams and NEVER give up. These really do seem like clichéd bits of advice. However they are absolutely true! Believe in your end goal and ambition you really can do it and there will be tough times but ultimately you will have the life that you have set out to have. You can find out more about Little Voices on their website.